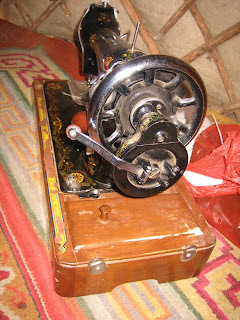 Visiting Mongolia. 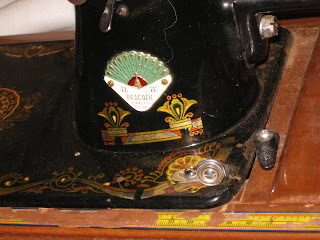 In the Ger's the ladies seem to always have a hand crank sewing machine. 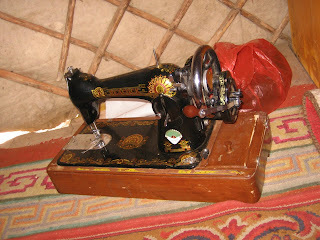 The one here, is one from China, but at a previous nomad's home, she had one from Russia. Our Host for lunch, made Tsuivan, which is homemade noodles, potatoes, carrots, onions. She offered us the traditional Vodka, which she made herself, the milk tea and yogurt too. 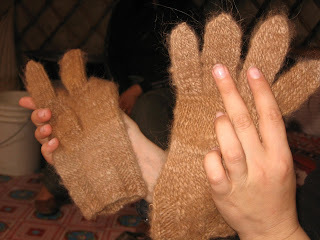 She knits gloves from camel hair, sews up deels, (local clothing), scarves, etc during the winter months, and sells them a the tourist ger, located about 3 km from her nomad home.